After a heart attack scare at the age of forty, physician Rajiv Misquitta and his pharmacist wife, Cathi, set out to find ways to change their lifestyle to ensure they lived long enough to see their children grow up. Learning that roughly six hundred thousand people in the United States die annually from heart disease, Rajiv researched the medical literature and discovered that a low-fat vegan diet can actually reverse heart disease as well as help people lose weight—not to mention have a positive impact on the ecosystem. Finding existing vegetarian and vegan cookbooks less than satisfying, Cathi developed her own vegan recipes. Compiled and presented here is a bountiful collection of more than one hundred heart-healthy, eco-friendly, everyday vegan recipes for breakfast, lunch, dinner—and even snacks. Inspired by cuisines from around the world, the recipes include plenty of protein-rich grains and legumes as well as seasonal variations for a balanced diet that’s in tune with nature. 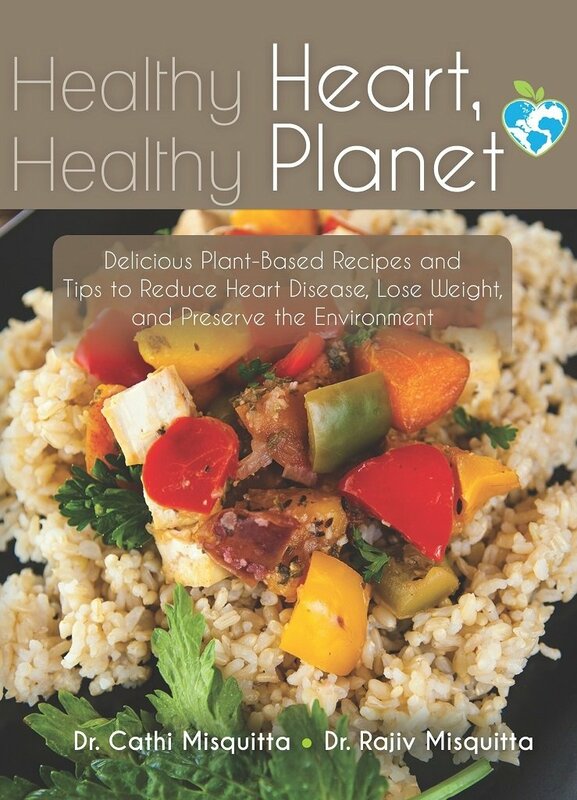 In addition, the book provides advice on transitioning to a vegan lifestyle, and each chapter offers an eco-friendly kitchen tip. And with weekly sample menus and grocery lists, Healthy Heart, Healthy Planet delivers both inspiration and empowerment for anyone who desires to live a healthy life and ensure a healthy planet.